Edition29 ARCHITECTURE is one of the top 10 newspaper and magazines apps sold on Apple iPad in 2010, along with other publications such as the New York Times, Wall Street Journal and Wired Magazine, as recently reported by the Financial Post. 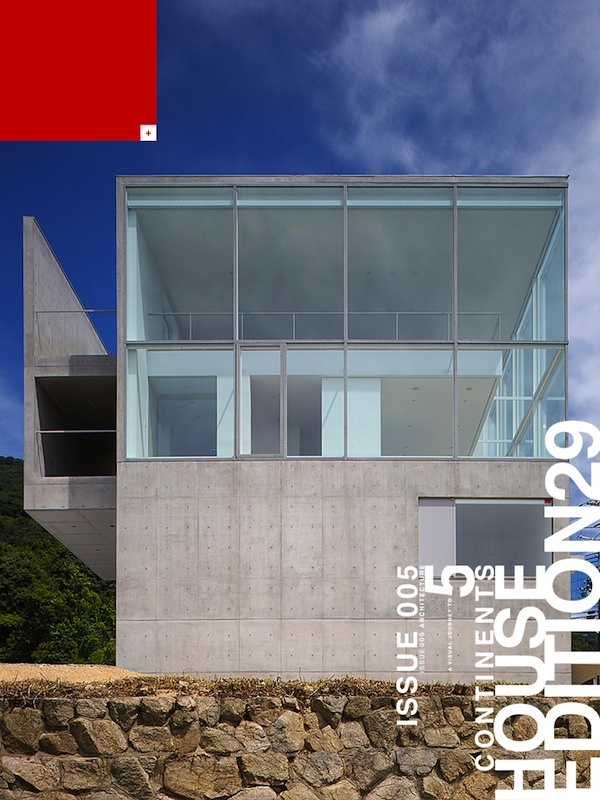 The 5th Issue of Edition29 Architecture is the biggest one so far with over 170 pages of amazing visual drama elicited through great photography of structural sculptures that serve as residences from Japan to Portugal. The RA House in the Kansai region by Japanese Architect Yoshiyuki Moriyama is an elegant cube like cement platform with glass facades planted on top to open up the living spaces to the scenes that surround this area. In this story, the architect speaks in Japanese and describes the house section by section as only the creator of this edifice can express. An amazing short film of the RA House accompanies this visual photographic journey. The “Torreagüera Atresados” House set in Torreaguera, Spain, is a simple unfinished concrete block curtained with glass and cantilevered perpendicular to the functional base that is covered in multicolored reflective glass. This is simplicity redefined as a work if art that allows a family to live and grow under its roof. Following in the footsteps of buildings showcased in the past issues of Edition29 Architecture, this ISSUE 005 builds on the collection of great buildings that deserve to be seen, noticed and collected as a body of work that exemplifies genuine creativity and functionality in its inception and execution. The cover photograph is of the RA HOUSE in the Kansai Region of Japan by photographer YASUNORI SHIMOMURA. Link to download on iTunes – here.